On to the next wave: “Energy.” Waves are primarily driven by winds. By harnessing the power developed by waves, a generator can create power. Companies are working to develop generators and pumps designed to capture and generate such power. 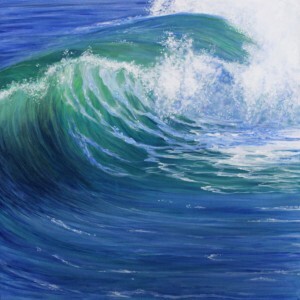 Waves also feed our psyche and affect the human body. A natural instinct of children and adults alike is to run into the ocean and tackle the waves head on. Surfers and body surfers find riding the waves exhilarating and energy boosting.